Seen when running Veeam Backup and Replication. There are a few things that might cause this, make sure the Veeam Server can “Ping” the VCenter and the hosts. Also make sure if you use a proxy server there is an exception for traffic going to this IP address. 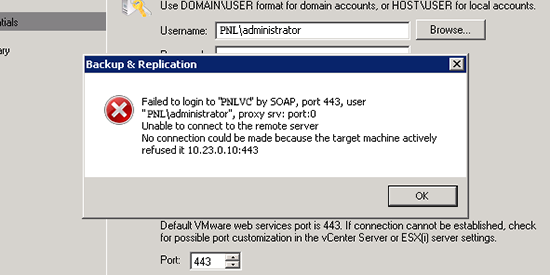 In my case the problem was simply that the VMware Server service was not running on the Virtual Center.